Known in Spanish as Bizcocho con Canela a la Leche, this light and fluffy cake can be served as an after-dinner dessert, it would typically be served in Spain for breakfast (merienda) and is perfect for a special breakfast or brunch. Bizcocho is just one of several words used in Spanish for "cake" depending on location and is used to describe a spongy type of cake. Other words for cake include tarta and pastel, normally used in Spain for moist cakes, while torta and queque are more typically used in Latin America. Baked in a Bundt pan, this is a simple, but sweet cake with a topping made with condensed milk drizzled over the top and then dusted with ground cinnamon. It's absolutely delicious with hot coffee or tea. Not a big cinnamon fan? Substitute by mixing in a bit of vanilla or lemon extract with the condensed milk topping. Heat oven to 350 F. Using a paper towel, coat the inside pan of a Bundt cake pan with vegetable shortening. Then, add a few tablespoons flour to the pan. Tilt and rotate the pan so that all the surfaces are coated with flour. Discard the flour that does not stick to the pan. Separate the egg yolks from the whites, placing yolks in a small bowl and the whites in a large mixing bowl. Using an electric mixer beat yolks until they are frothy and doubled in volume, then mix in the milk. Beat whites to a stiff peak. Carefully fold the beaten egg yolks into the whites. Measure and sift together the flour, sugar, and the baking powder. Carefully fold in the flour mixture, stirring until well blended. 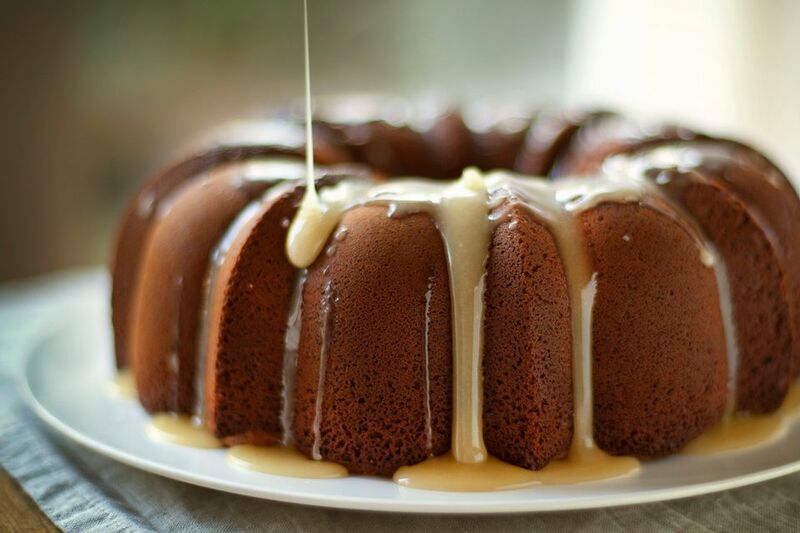 Pour into the Bundt cake pan and bake on center rack for 20 to 25 minutes. Cake is ready when a toothpick is inserted and comes out clean. Allow to cool. Drizzle condensed milk evenly over the top of the cake. Because the cake is spongy, some of the glaze will soak into the cake immediately. Dust with the ground cinnamon and serve with coffee and fresh fruit on the side.